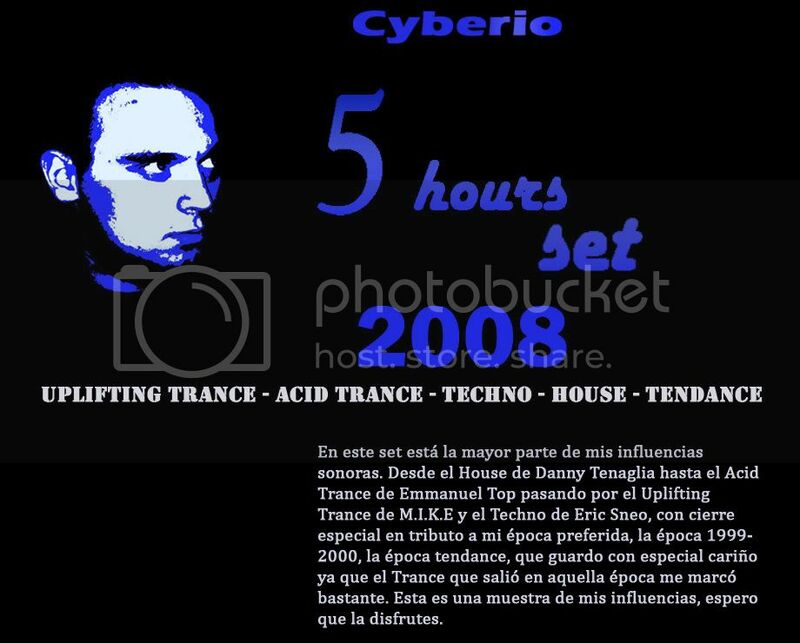 Last edited by Cyberio; Apr 19th, 2008 at 13:49.
las partes de diferentes estilos estan mezcladas? es todo un set corrido o para y arranca en otro estilo? is the set separated in parts by styles or is it a non-stop mix? Yes, all the parts are mixed except the warm up part. Last edited by Cyberio; Apr 19th, 2008 at 13:50.